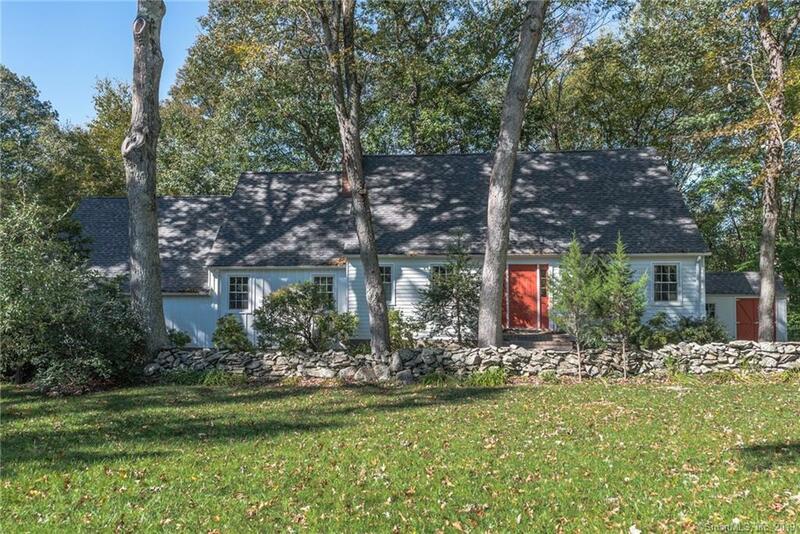 It is with great excitement we present to market 37 Wells Rd, Monroe, CT: This custom cape/colonial home boasts 3-4 bedrooms and 2.5 baths within a desirable neighborhood on a wonderfully private lot with room for play! Upon entry into this light and bright custom home one is immediately drawn to the updated eat-in kitchen with gleaming white cabinets, gas range, double oven, solid-surface counters and a gorgeous tiled back-splash. Flowing effortlessly to the step-down family room with exposed beam, tasteful solid wood paneled accent walls and cozy brick fireplace this is the perfect space for entertaining family and friends. The bonus room above the garage adds yet another space within this flexible floor plan. Upstairs we find a well thought out master suite with cathedral ceiling, fireplace, separate "sitting" room and a fully updated master bath of 5-star resort quality. Two other well sized bedrooms share another well appointed full bath with spa tub and Travertine marble floor. The full and finished walk-out lower level is the perfect play, craft or game room space. Outside we find an expansive and tiered rear deck nestled within a private setting accommodating many of your outdoor needs. The care and detail of this home calls upon the pride of ownership of a time gone by but still desired and appreciated today. This is a true must see opportunity.